Three days ago I wrote a post about a trip to Italy. I still have something to write about the second part of the day. After seeing the town of Grado me and my girlfriend followed a causeway connecting the island with mainland. 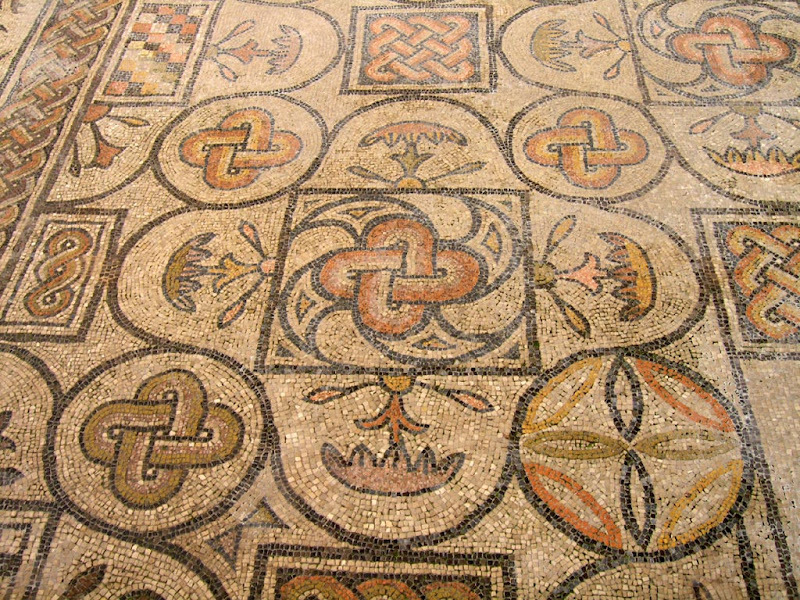 Aquileia (Oglej in Slovenian) lies just a few kilometers north from the island town of Grado. It is an ancient Roman town founded in 180 BC and situated about 10 km from the sea. It became a naval station in 4th century AD and also at that time the bishop obtained the rank of Patriarch. 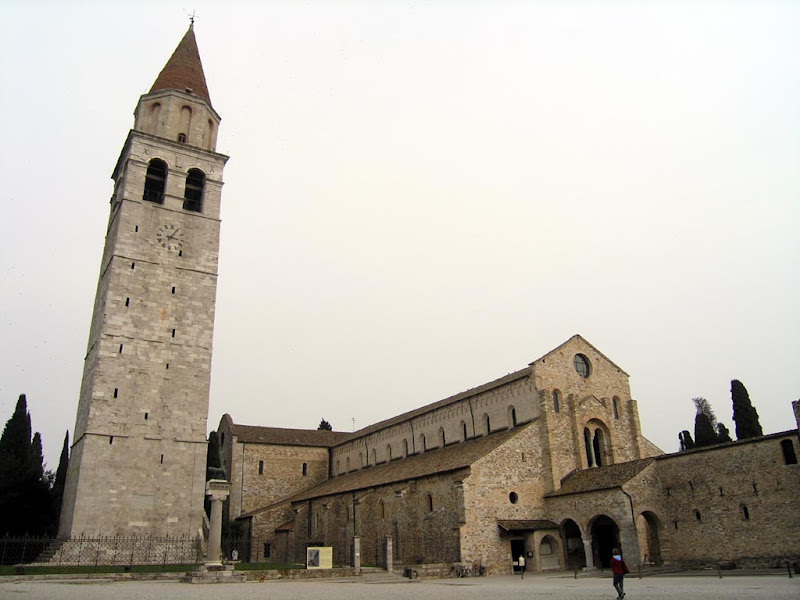 The Cathedral of Aquileia is one of the most important edifices of Christianity. It is a flat-roofed basilica erected by Patriarch Poppo in 1031 on the site of an earlier church, and rebuilt about 1379 in the Gothic style by Patriarch Marquad. 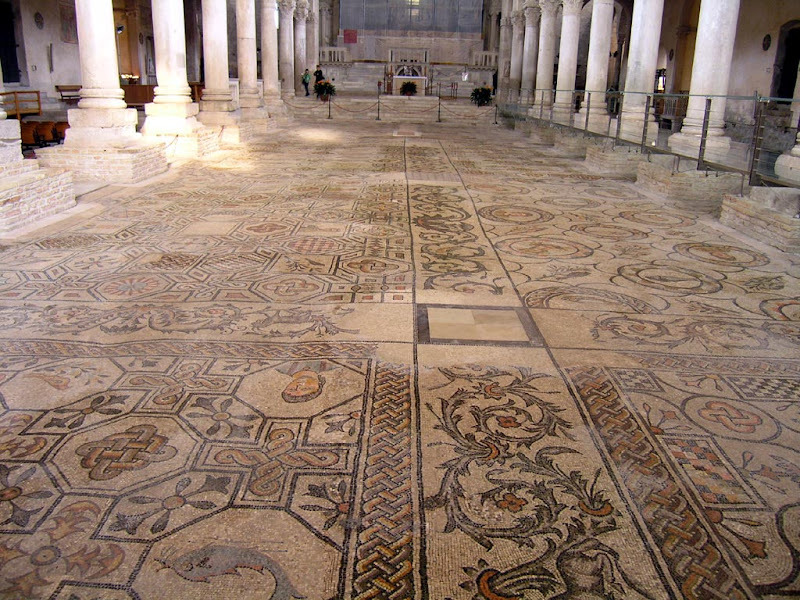 Most of all I was impressed by the mosaics within the cathedral. They are really colorful and beautifully made. All of the cathedral floor is covered with them. A view from the top of the cathedral tower is also something to mention. You can easily see the sea. Unfortunately on that day the weather wasn't really something to brag about and the same goes for the view. After we also saw some more ancient remains and a WWI cemetery, we decided to call it a day. Under the line it was a beautiful and relaxing day, which ended with a mortadella sandwich (Italians know how to make the best ones) and a bag of pistachio. Yummy!